Every office manager’s nightmare: Organising staff headshots. With hundreds of options in Sydney, how do you find the photographer who will give you quality work, not annoy all your staff (especially the directors!) and make it easy for you? It’s so confusing and you often just give up and end up with the lowest common denominator, which are bland, uncomfortable photos that look like mugshots. Ugly headshots not only embarrass your company, they hurt employee morale. Nobody wants the worst version of themselves as their identity in the company. Here is a team session with a business networking group of 20 in Sydney. We had very limited time and space! Yet once set up, we were able to complete all the shots in close to an hour. And you’ll agree they don’t look like mugshots at all. Often it’s not the time, but the ability to build rapport, deal with different personalities, and seeing the possibilities in people. By understanding the business requirements we know how to most efficiently achieve the goals. Everyone is busy nowadays. 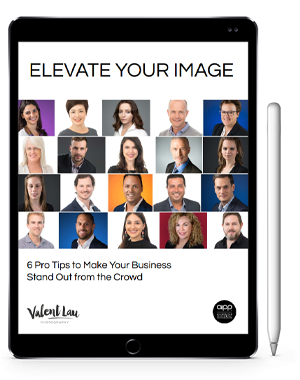 Don’t risk a poorly planned photo session disrupting your whole business. Let us organise your staff headshots and give everyone an enjoyable and easy experience. Our methods are relaxed and make the camera just melt away. It’s perfect for even the most camera shy. We can even organise hair and makeup for your staff. Valent Lau Photography provides Professional Headshot Photography at our Eastern Suburbs studio or at your business location. Contact us now and let us help you make your best first impression. Valent genuinely understands the importance of emotional connection to capture the moment. He's professional, patient and a natural at building rapport to create the shot you want and love. The entire process was very simple and you felt like you had a voice in the process while also being guided through it. The results were phenomenal and exceeded expectations. Valent made you feel very comfortable throughout the session - perhaps that was why the photographs appeared so authentic. I especially liked how I was able to choose the photographs that I preferred.